On August 31st, Asialink Diplomacy hosted former Australian Ambassadors to China, Professor Stephen FitzGerald AO, and Professor Ross Garnaut AO, for a conversation and Q&A to discuss their diplomatic experiences and the shifting nature of Australia’s engagement with China. The event also served as the launch of Professor FitzGerald’s new book, Comrade Ambassador: Whitlam’s Beijing Envoy. Professor FitzGerald spoke about the vast differences between the China he experienced in the 70’s and 80’s and the emerging economic and strategic power we know it as today. He advocated strongly for Australian foreign policy to take an independent approach to the region, in regard to its relationship with the US in particular. Professor Garnaut spoke about the campaign against ChAFTA by the ACTU, and the implications of this campaign for Australia’s image abroad, especially in China, suggesting a broader issue of deep-seated skepticism about China as an economic partner in Australia. Professor FitzGerald is a legend in the world of diplomacy. In the course of his impressive 50-year career Professor FitzGerald has worked as a diplomat, academic, government and business advisor, foreign policy and education advocate and commentator. He has played a pivotal role in shaping Australia’s relations with Asia. The work that Professor FitzGerald embarked on through the Asian Studies Centre and the Asia-Australia Institute set the stage for much of the work that Asialink undertakes today. 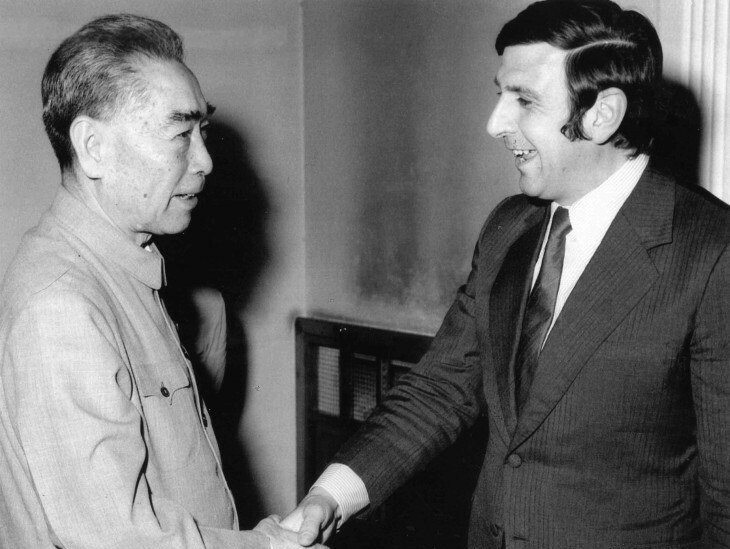 Professor FitzGerald became Australia’s first Ambassador to China in 1973, an extraordinary achievement at the age of only 34, handpicked by then Prime Minister, Gough Whitlam. Renowned Australian economist, Professor Ross Garnaut became Australia’s Ambassador to China in 1985. Professor Garnaut has held significant positions in business and government, where has led many high-level Government Reviews and Commissions, including the Garnaut Climate Change Review in 2008, and as an academic at the ANU until 2009 when he took up his current post as Professorial Research Fellow in Economics at the University of Melbourne.